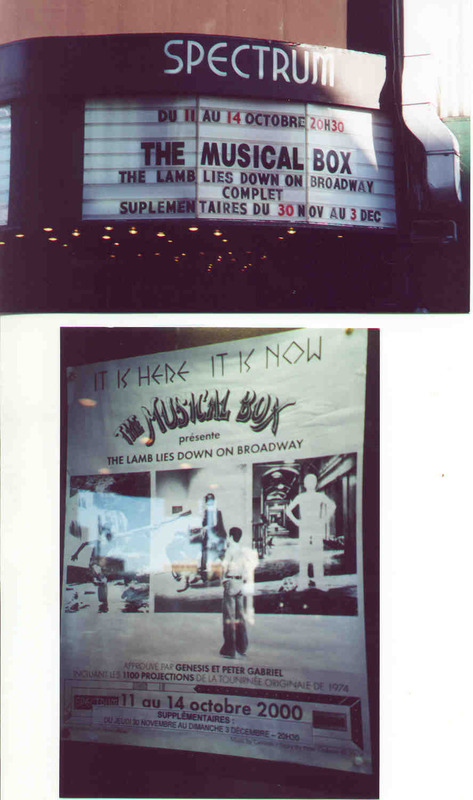 Not being lucky enough to have experienced the original concert performance of The Lamb Lies Down On Broadway album by Genesis in 1975, I was delighted (along with many others) to get another chance when The Musical Box decided to put it on. As with other Genesis shows performed by TMB this was done as precisely as the original, including (copies of) the actual 1200 slides projected on a three screen stage backdrop. I went to the opening night show in Montreal, plus the next two, another one in Hamilton, Ontario later; and finally the closing night show in Montreal. Though maybe a seemingly strange affliction to some, I could never get too much of The Lamb and sure hope that TMB decides to go on tour with it again someday soon. 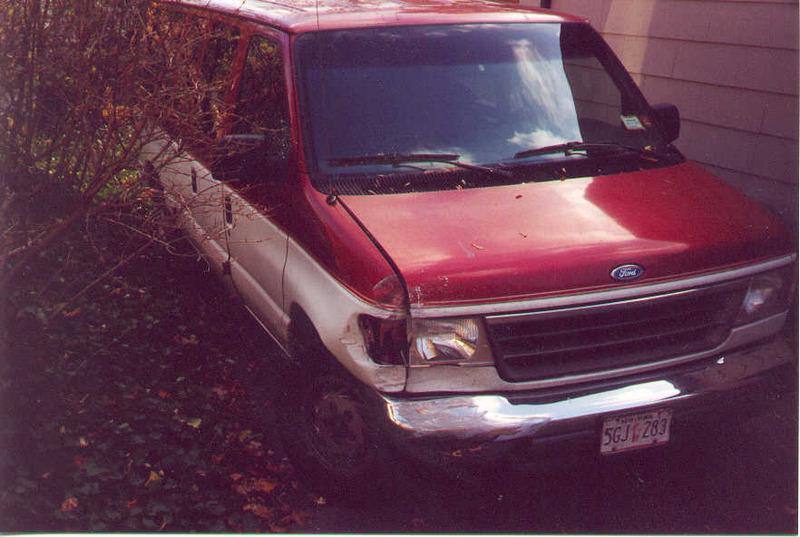 In November 2000, a few months after getting his license, Jimmy had a little problem with the van at an intersection. The minivan he tangled with didn't fare nearly as well, fortunately there were no injuries. Sure isn't the first time the van's been in this predicament though!! 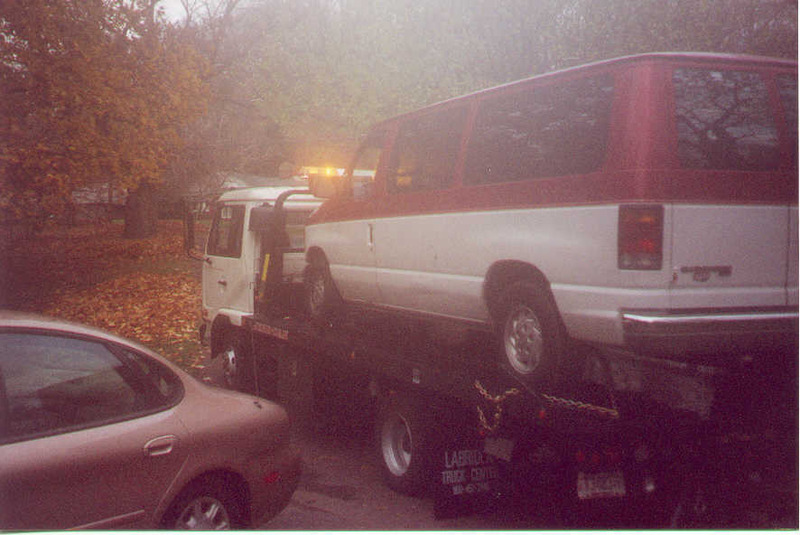 On a trip to Colorado in 1996 it was towed nearly 100 miles to a dealer to have a couple thousand bucks in parts replaced that enabled me to return home to Rochester. Early in Kristin's driving career she also managed to smack it into something a few times too. 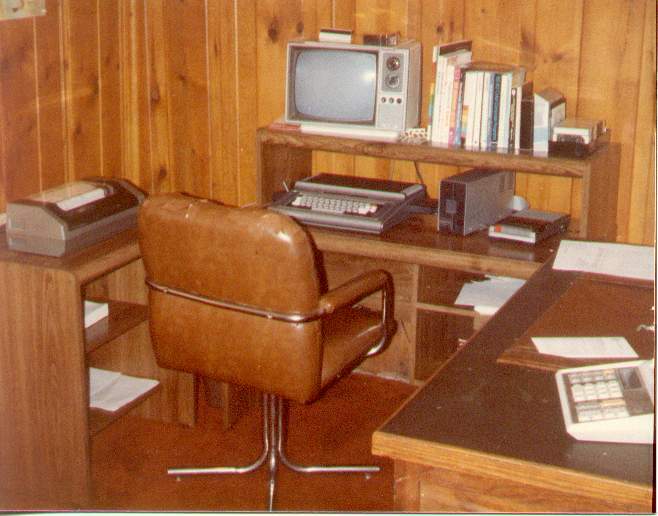 First home computer setup in early 1983 (not counting a Timex Sinclair Z80 owned for several weeks but returned and the money used for), a Radio Shack TRS 80 Color Computer. It connected to a TV and had a disk drive and printer; notice the cassette player to the right which was the original storage device before upgrading to floppy disks. It now resides in the attic along with the IBM-AT that replaced it in 1985, and a Packard Bell 486 that eventually made both obsolete. All have been superceded by a variety of speedy Dell Pentium machines, but I sure learned alot about computing on that old CoCo. 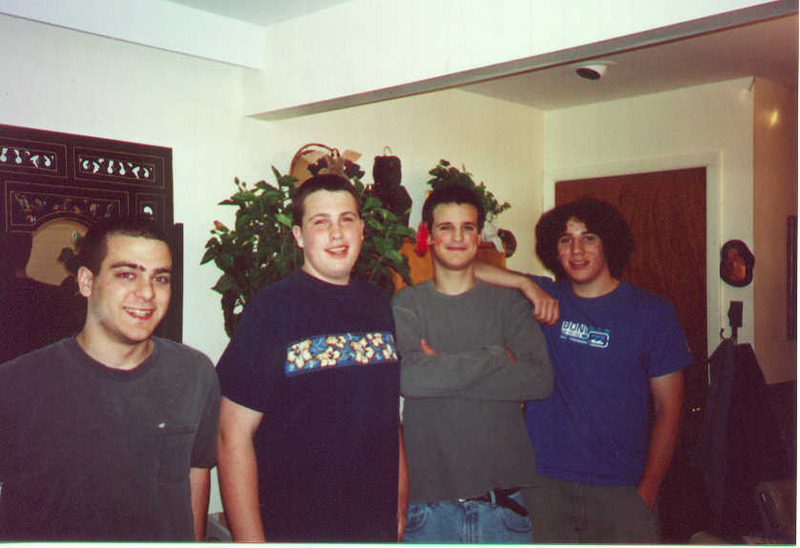 There's a shady looking bunch: Rob, Jimmy, Paul and Matt, circa 2000. 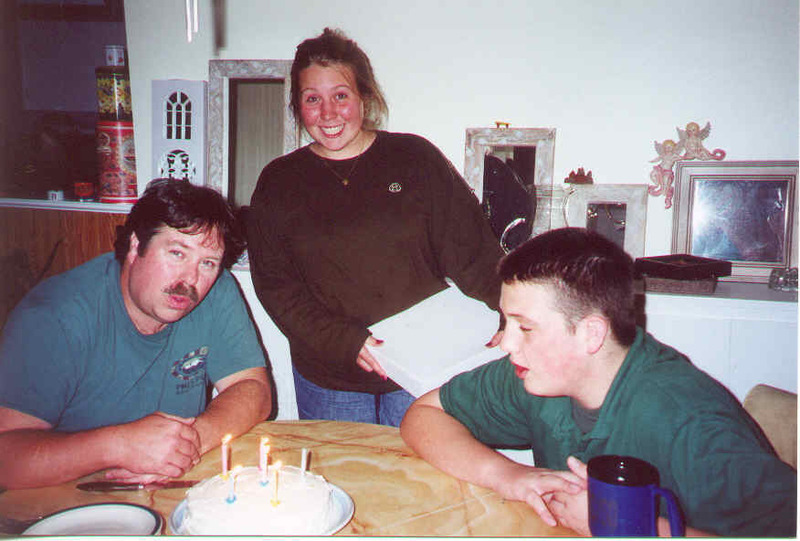 Another year, another birthday; they sure come around faster as time passes! The candle to age multiplier factor was 8.8 for this cake.